In Fire Assay, cupels are used in the assaying process to absorb lead from an assay button, and must provide good lead absorption as well as durability. 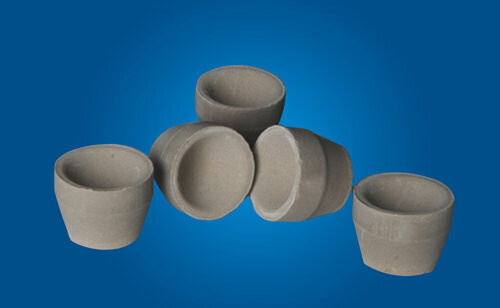 Sepor provides cupels that are available in Bone Ash, Premium Bone Ash and Magnesite. Both the Bone Ash and Premium Bone Ash cupels are made from bone ash with the Premium Cupel having Portland cement added, which provides additional strength. Both exhibit excellent lead absorption characteristics. Magnesite cupels are more robust than their Bone Ash counterparts. They are not affected by temperature changes and are free from cracking and pitting. Magnesite cupels have a rapid rate of lead absorption, and the resulting dore beads are easily removed, minimizing losses.